Our friendly team of dental professionals at San Diego Dentistry Studio are dedicated to helping you improve your oral health and achieve a beautiful smile. We are service-oriented, and do everything we can to provide you with quality dental treatments and help you feel at ease in our dental studio. We invite you to contact us at 858-257-3412 to schedule your appointment with Dr. Tim Garofolo and learn more about our comprehensive dentistry in San Diego and Rancho Bernardo, California. Lauren has been living in the beautiful city of San Diego for two years, but was born and raised in Orlando, Florida. 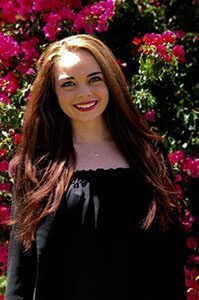 She’s currently achieving her Masters in Business Administration while working full-time at the best dental office in town, San Diego Dentistry Studio. Lauren also has a dance background of 19 years, and she achieved her teaching license from the Royal Academy of Dance in England — she was the youngest United States student to graduate from the program! When she’s not at the office, you can find Lauren teaching ballet at a local dance studio and going to dog parks with her rescue pup, Harrison! Shiva has been practicing dental hygiene for 5 years. She obtained her Masters of Science in Dental Hygiene at UCSF in 2015. In 2016, she published a study on Perceptions Related to Use of Electronic Cigarettes among California College Students in the Journal of Dental Hygiene. Shiva is the President of the San Diego Dental Hygiene Society and has served as Vice President. She is also an Independent Educator for Waterpik. Outside of the dental field, she likes to ride her motorcycle, hike with her dog, and play the piano. Shiva is representing San Diego County for the MISS CA USA competition on December 1-3 and would be honored to have her communities support. We have a very special team member at San Diego Dentistry Studio that adds to our calming and tranquil atmosphere. We would like to introduce you to Karter. He is a certified U.S. Service Dog and specializes in giving guests a little extra TLC. Our guests may request him for additional emotional support, and he may accompany them during simple procedures and cleanings. He resides in the front office and his calming snores may be observed from the waiting room all the way back to the guest suites. Make sure you introduce yourself to him upon visiting us.